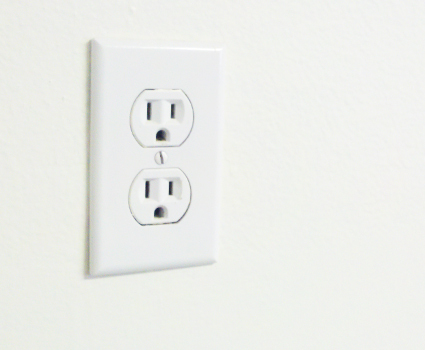 There are a number of reasons why an electrical outlet may stop working. Whether it’s randomly kicking off your appliances or electrical devices or just not supplying any power at all, the Portland outlet repairs specialists at Star Electrical Service, Inc. can fix your electrical outlets. Star Electrical Service, Inc. offers electrical installation and repairs of all types of sockets, switches, outlets, dimmer switches and more. There are many different type of switches for your lighting, dimmer switches, standard flip switches with many different styles and even electronic remote control switches. Our Portland electrical outlet repair experts able to repair, install and even help you pick out outlets and switches that best suit your homes needs. Our Portland electricians are focused on getting the job done right the 1st time. The job is not done until you are 100% satisfied. We provide excellent customer service and striving to provide the best communication throughout your entire electrical project. Call Star Electrical Service, Inc. today for all of your electrical outlet repair needs.